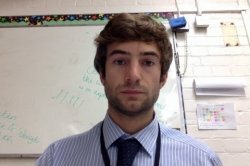 I am a young psychology teacher who is very passionate and knowledgeable about the subject. I like to display this enthusiasm in my style of teaching. I am a friendly individual who always wants the best possible grade for my students. I find that I am a personable individual who seems to build up a possitive rapoir with students. I have been teaching both psychology and sociology at both GCSE and A-level now and have well over 6 years subject experience. I have knowledge of teaching both AQA and OCR syllabus but am currently teaching on the AQA syllabus. I have a very direct approach to tutoring and offer lots of resources (textbooks/worksheets/past papers). I like to quiz my students often to ensure retention of study material. I offer open questions and non directed sessions to cover a range of different topics in the subject area. I only decided to find a tutor towards the last three months before my A levels. Reece has been brilliant in helping me with my revision technique as well as knowledge in Psychology. I went into my exams feeling a lot more positive. I would definitely recommend him to anybody who asks. We hired Reece to tutor my daughter in A-Level Psychology, at a fairly late stage in her revision. Reece is very helpful, professional and deeply knowledgeable on his subject. He and my daughter hit it off straight away and there was always some laughter, despite the stressful time table. With both face to face tuition as well as remote via Face time, my daughter felt confident during the exams. Thoroughly recommended.